All within the Time Matrix is interconnected, and when a planet or galaxy is blown off the grid a hole is left within the grid “fabric” – Called a Black Hole. This Black Hole affects everything within the area of activity surrounding the hole, as energy flowing around the broken grid lines hits “blank spots” of breaks in the pattern. When energy approaches the Black Hole in the fabric of the Time Matrix it is magnetically pulled into the black hole and is no longer able to reenter the Time Matrix from the position in which it first entered the hole. This “energy” can take the form of an individual in biological form, a personal “Soul Matrix” or a Soul, a planet or galaxy or the entire galactic Soul Matrix. When one element enters the Black Hole its own sequential program will serve as a “beacon” for all other energies possessing that particular coding and systematically pulls in more and more energy from its home system creating an exponentially expansive quantity of depleted energy in the system. 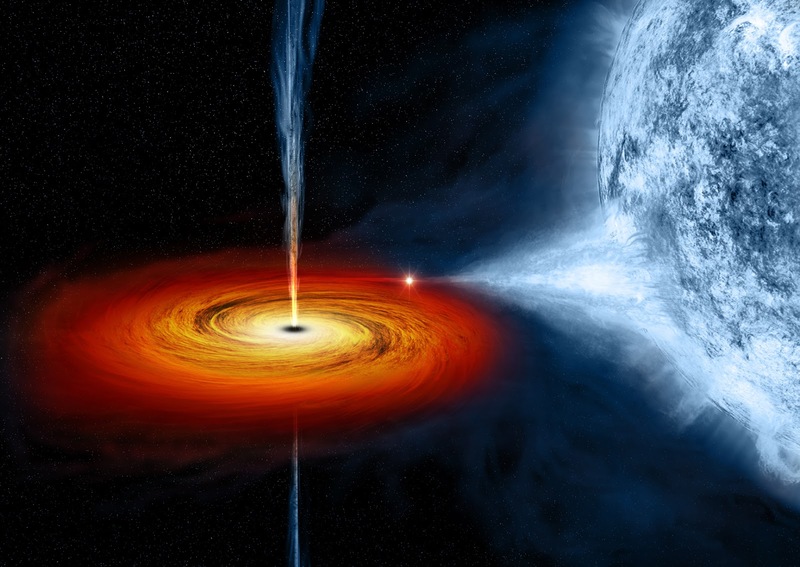 The Black Hole will not stop from pulling energy unless it is sealed off.